This is a fine example and has only a minor repair to the rear. Please take a look to see for yourself. 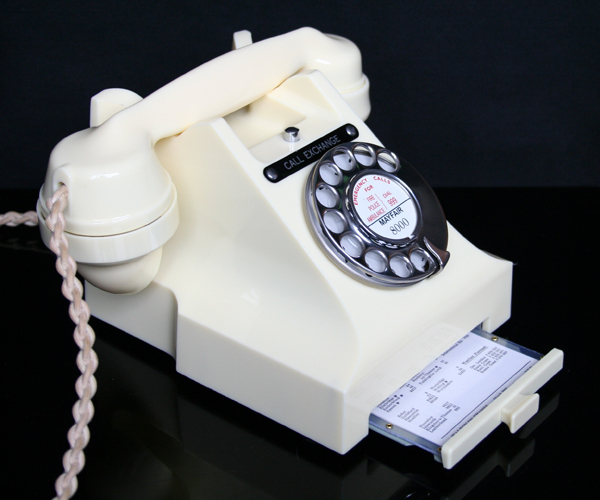 This is a lovely GPO 312F with drawer. It has been totally stripped down and rebuilt after each part has been cleaned and polished. 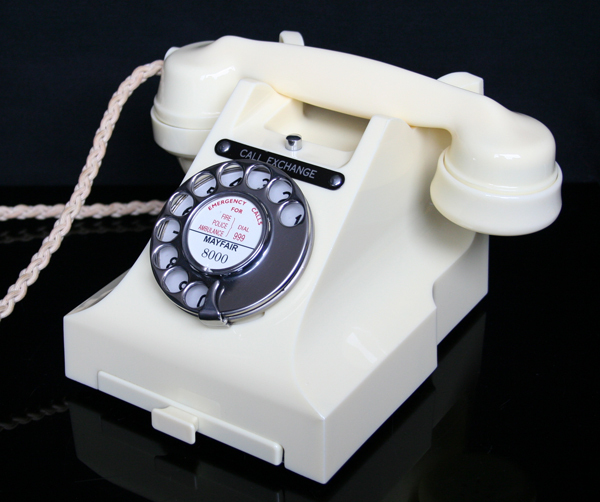 As you can see it is a wonderful telephone and has been fitted with an electronic microphone and a GPO specification round plastic line in with a UK telephone plug socket and is ready to plug in and go. 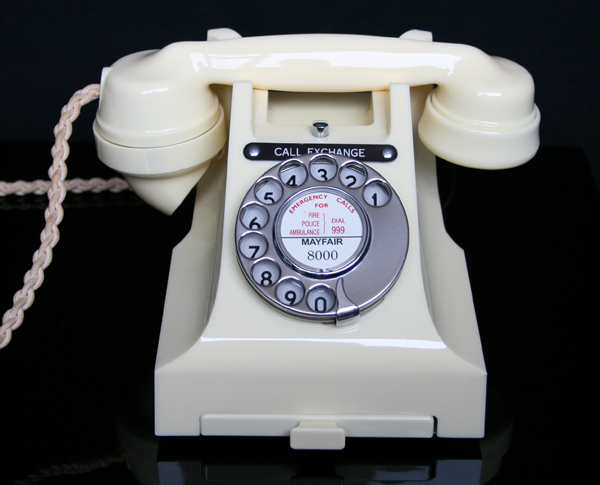 It retains an original No 12 chrome fronted dial and has a genuine GPO plaited cord. It has a repaired hairline crack to the rear which I have photographed and in reality is very hard to see and I spent a lot of time getting the light right for the camera to pick up. 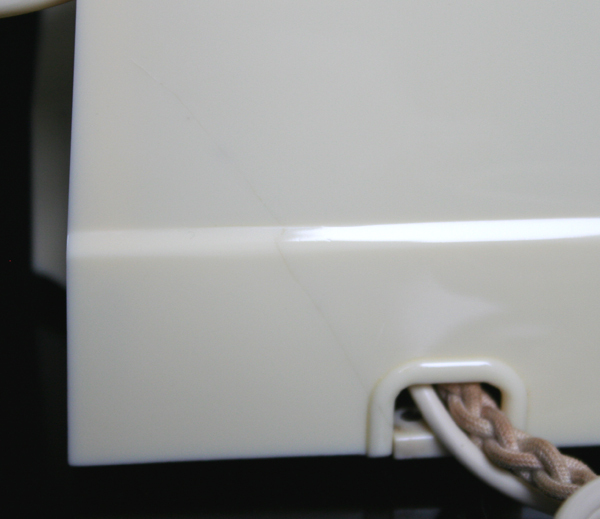 No paint has been used on this telephone at all. 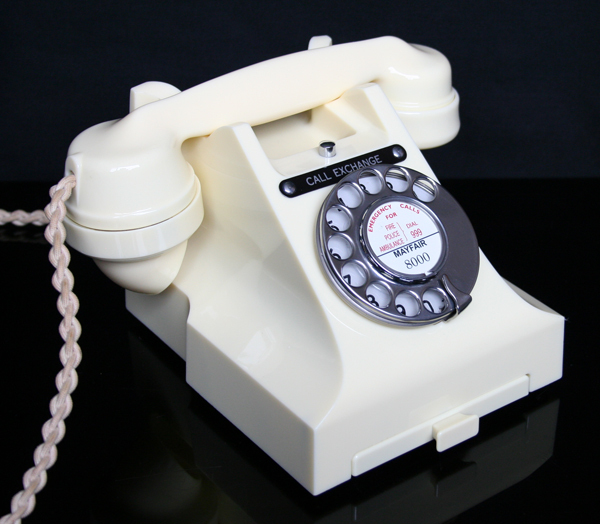 This will enable someone to get a top quality telephone at a discounted price. I can make a dial label with your information at no extra charge.